Holly Jolly's hand painted watercolor elements (even the baker's twine!) in the bright colors of the season are sure to bring holiday cheer and inspire creative hearts. 2 ea. 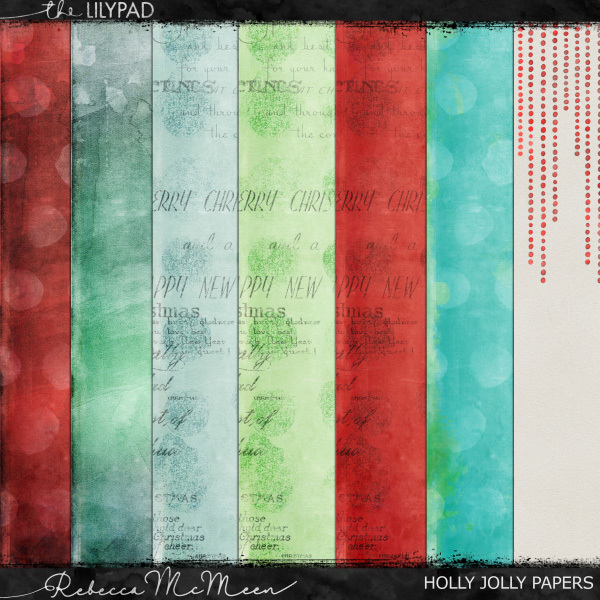 Versions of Holly and Jolly, 2 ea. Outfits for Jolly, 10 ea. Outfits for Holly (Jolly is rolling is eyes), Assorted Florals/Bows/Botanicals for Hair Decor, Assorted Festive Hats Including Santa & Gnome, Assorted Mini Collages for Elves to Hold. 8 ea. Hand Painted Trees, 2 ea. Hand Painted Holly Leaves, 3 ea. Vintage Pieces with Enhanced Additions – 2 ea. Snowman & Reindeer. 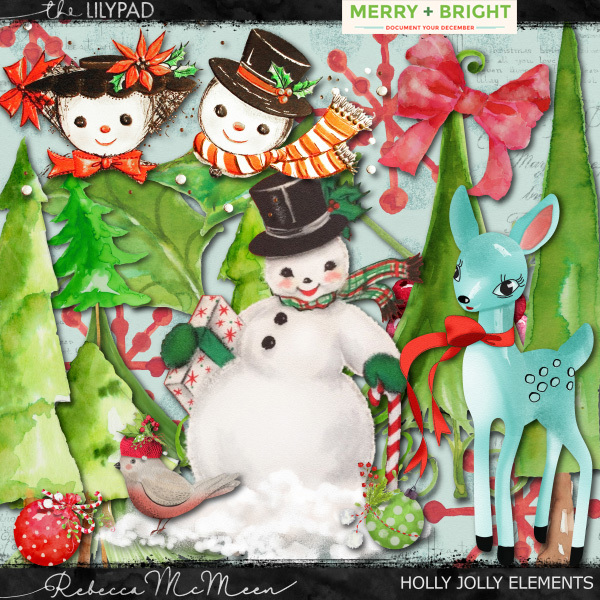 TOTAL HOLLY & JOLLY ELEMENTS : 110 EA.